Wow! What a whirlwind year that was. Business for TrinityP3 across the region has boomed again this year with growth in every market. Projects have ranged from local to regional to global in scope – from production assessments to pitch management and strategic alignment both internally and externally. We saw a huge explosion in projects assisting marketers with integrating and optimising their digital marketing requirements. And work with organisations from not-for-profits to tech start-ups to major global companies and brands across all categories including retail, finance, automotive, consumer goods, telco and more. So, as another year comes to a close it is time to reflect on the year that was. What better way than to look at the Marketing Management topics that inspired us and the topics that inspired you. This year we published 160 odd articles ranging in subject from pitching to agency remuneration to creativity to production and all the others in between. 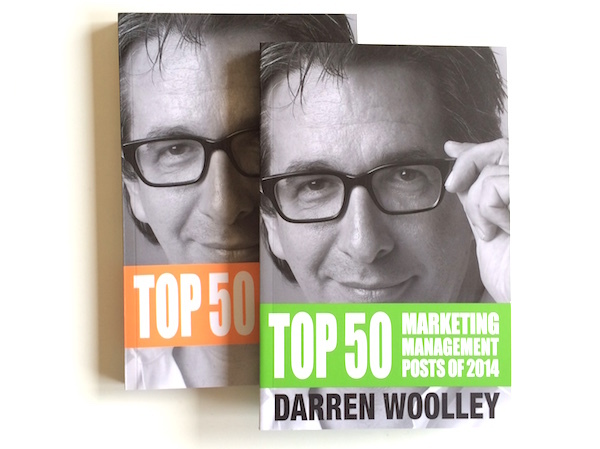 Sure, we managed to publish a second edition of our Top 50 Marketing Management Posts of 2014. But this is different in we are only considering the articles published this year, not just the most read during the year. Therefore there are some that are in both, but a few that are only here. So based on the top read posts from TrinityP3 published in 2014, here are the top 30. Chemistry is one of the most important and least definable aspects of the pitch process. And the chemistry meeting is not a laboratory nor is it a social. But it is essential to get it right as an agency if you want to work with a client. Who better to give insight into this that the TrinityP3 consultant with EQ in spades. And that is exactly what Anita did here – provide agencies with insights into how to get it right. Clearly they were interested. Our colleague in Canada, founding partner of the Marketing FIRST Forum, Stephan’s particular speciality is digital communications, which is very fortunate (for those hiding in a cave for the last twenty years, everything is digital). In this article he provided a valuable list to debunk many of the myths he had encountered concerning the digital agency pitch. Probably the most interesting is “There is no silver bullet”. Having attended the Global Marketing Week as a sponsor in Beijing (2011), New York (2012) and Brussels (2013), it was a moment of pride to attend this year’s when it journeyed down-under to Sydney. The day was certainly action packed with speakers from Europe, USA and Asia all talking on the big topics facing global marketers and local marketers alike. Well worth checking out and Global Marketing Week 2015 is in Marrakesh. The increasing involvement of procurement in the marketing function cannot be overlooked. And it took an experienced and well credentialed marketing procurement professional to come up with the Marketing Procurement Health Check. David Little has contributed much to TrinityP3 and to the blog, with four of his articles making the top 30 in 2014. You can download the Marketing Procurement Health Check free right here. Each year the ANA Advertising Financial Management Conference goes from strength to strength. It is certainly the one global conference I would personally recommend for all marketing procurement, agency financial and marketing management consultants. Held alternately in Florida and Phoenix, this year’s conference is comprehensively summarised here using the tweets from the participants and the tweet pic to visualise the event. Stephen Benrad was with us for a good time, but not a long time. In fact in the 7 months he was with TrinityP3 he managed three media pitches in Melbourne. His involvement in those pitches led him to make this observation on the difference between agency confidence and the appearance of being arrogant. But more importantly the impact this has on the marketer and their perception of the agency. Obviously, many took the lesson he gave. The Buyer made a controversial splash with this article on the difference between marketing and procurement and how the capability and skills of the procurement professional makes them more likely to achieve success in the modern business environment. He went on to extrapolate that this could lead to a situation where procurement could overtake marketing. Agree or disagree, many read his point of view. Bombarded by tweets, messages and emails offering followers, likes and friends for sale, TrinityP3’s Content Director, Mike Morgan was inspired to take to the blog with this article offering practical and tangible ways marketers can look for evidence that their digital agency is cheating. It could be that those social media results are not nearly as good as they seem. And it seems many were interested in finding out more. Many agencies forget that we at TrinityP3 have to complete the occasional RFP too. And there is nothing that annoys us more than a badly drafted, ill considered RFP from a procurement person who has not invested the time to get it right and ends up wasting everyone’s time. That is why we are not responding to many RFPs. But it was certainly worth reminding everyone the damage this practice can do to your and your organisation’s reputation. The biggest sports event in the world is held every four years – the FIFA World Cup. With millions of dollars riding on the sponsorship arrangements, football fanatic Anton Buchner was drawn to considering, no matter the result on the field (Germany won), who was the winner in the sponsorship value game? While a billion people tuned in to watch the World Cup Final this year, quite of few also came to read Anton’s conclusion. You know them well. The person sitting in the meeting nodding in agreement to everything that is said and offering no value or opinion or insight whatsoever. Nathan Hodges, General Manager at TrinityP3 knows them well too and called out Noddy in this article about how the value of account management is to manage and not simply be the agreeable nodder at the end of the table. Hands up if you find yourself nodding at this? Content marketing is the hot topic on many marketer’s agendas. But while it is the hot topic, many marketers are reporting less than spectacular results from their content marketing efforts. Mike Morgan decided to turn his attention to some of the things that marketers and agencies alike do wrong when it comes to content marketing. He came up with lucky 13. But perhaps you can add a few more and push up this content’s score? It has been a challenging year in media and media agencies and the industry has struggled with the issues around media transparency. Stephen Wright, Media Business Director at TrinityP3 put this into context with this article on the impact these media rebates and kick backs could potentially have in undermining media neutral planning. After all if the media are paying the agency more than the advertiser, who really is calling the shots. As the saying goes, an expert is someone who makes the right decision 51% of the time. In marketing, you are called upon to make decisions all of the time. Especially when selecting a new agency. The Buyer is an expert at making decisions and offered some sage advice here on how to make decisions, but more importantly how not to make decisions. It appears that many people made the decision to read his advice. Lets hope for some better decisions. Mike not only made the top 30 with the 13 things you could be doing wrong with your content marketing strategy, he also provided these 12 essential tips for developing a successful content marketing strategy. Which just goes to provide that a positive story is clearly more popular than focusing on the negative. And when it comes to positive outcomes you cannot go past Mike Morgan for delivering the results. With the number of marketers and advertisers struggling with aligning their digital strategy with their marketing and business strategy, Anton Buchner, TrinityP3 senior digital and data consultant decided to write his magnum opus (with a little help from his friends). It was launched in November and immediately attracted a huge following with downloads of the complete work from more than 30 countries to date. 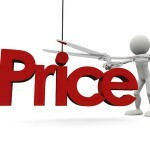 Many agencies complain that they get bamboozled by the procurement teams requesting details on how their overhead is calculated and asking for breakdowns on their FTE compositions, but in actual fact agencies are just as adept at confusing and bamboozling procurement professionals when it comes to compensation. It seems it found the audience in both agency and procurement people alike. Perhaps that will clear up some of the confusion? This year we launched Ad Cost Checker to provide a way for marketers, advertiser, procurement and their agencies to compare their rates to the pool of data that makes up the TrinityP3 industry benchmark rates. In less than a few minutes it is possible to get an independent statistical assessment of where your rates sit to the pool based on the type and size of the agency and the type and size of the client relationship. Cool, huh? If you are in marketing and not fluent in tech talk, it is easy to become confused by the promises on the functionality and benefits of many of the marketing tools now available. The problem for marketers is where can they obtain independent, plain English advice and information to select the right technology solution for their marketing needs? This post took 2 hours and 28 minutes to research, write and proof and another 13 minutes to fill in the time sheets. So the question is should I add that time to the job or just round it up to 4 hours and be done with it? The problem with time sheets in a creative environment is it really does not reflect the true value of the work and ends up being a compromised way to track resource utilisation. Best we leave it to the accountants and the lawyers. Sponsorship be it sports, the arts, or events is an often overlooked area for procurement when reviewing marketing expenditure. Yet not an area overlooked by David Little. David loves attending the ballet or the football as much as the next person, especially when the tickets are paid for as part of a corporate sponsorship. But that does not mean procurement do not have a role to play in managing the costs and effectiveness of the sponsorship spend. The world has clearly changed and continues to change. And the marketing landscape is naturally changing with it. So logically the way we do things needs to also change. Anton Buchner understands the way the marketing category is changing because he is helping marketers change with it by embracing and integrating new technology into the way they work. Here he provides the questions you need to ask when selecting the right agencies to partner with you on this journey. David Little is a procurement professional that gets marketing. That is why he not only works well with marketers, he also achieves the results required. So who better to give ideas and advice on how procurement and marketing can work together to achieve better results than someone who has been doing this for many years. 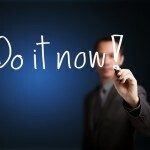 David Little does it again with his insights on digital marketing for procurement professionals. I think the popularity of David’s insights is his ability to make the complex accessible to procurement, marketers and agencies alike. Especially when it come to a topic so potentially confusing as digital. Only someone with a deep understanding of the topic is able to communicate it so clearly and insightfully across so many stakeholders. Robin Hick at Mumbrella Asia asked me the question of “how can agencies spot a bad client” after a number of reports of bad clients managing to screw up pitches. All I had to do was reflect on the many ways marketers treat all of their agencies and suppliers, including us as consultants. The trouble is when they do not even realise how bad they really are, in which case their is no chance for redemption. This has been such a hot topic and one which has generated a lot of comments. My favourite being that “Too many marketers confuse action with results” and the great thing about that is it is so true. Simply doing more is not doing it better. So doing more with less is never as good as doing less and achieving more. If only more marketers would see that what they do is create value and not simply spend a budget. There is an obsession with agency rates. Are they too high? Too low? And the fact of the matter is that while rates are no necessarily cost, they are indicative of how the agency positions their resources in the market. The rates agencies set are indicative of how they position themselves in the market place in regards to quality and expertise. Understanding this relationship is important in setting and managing expectations. My good friend and colleague, Deb Giampoli at Mondelez, has a belief that if you want a better outcome you have to do things better in the first place. And this, her first post (and hopefully not her last) on the TrinityP3 blog went straight to the heart of the topic she believes should change the most – the agency selection or pitch process. The comments and the social sharing shows she hit the nail right on the head with this one. Following a post by Stephan Argent, President of Argedia Group in Canada on the top brand reinventions, TrinityP3’s Anton Buchner was inspired to take the concept of brand invention to the next step by looking at online and digital reinvention and came up with his top 5. And for his efforts his top 5 is number 2 in the top 30 for 2014. Well done Anton. But the number one post of the year is actually one that came from a discussion with a major advertiser and client who was complaining they did not have enough budget to do everything they needed. The problem was they used a bottom up budgeting process without any consideration for the top down implications. Top down or bottom up? It came out on top this year. The fact is that everything we do is inspired to solve the problems and issues marketers and agencies face. With a team that have worked in the industry for many years, we are excited to be able to help our clients and their agencies deal with the changes and transformations happening in the industry and deal with the issues that arise to create more productive and sustainable ways of working. It has been a busy, in fact, frantic year and we have all earned a rest. So enjoy the holidays. Celebrate and relax with family and friends. Be safe and lets look forward to doing it all again and more in 2015.